Superdry men’s low pro retro trainers. A fresh option for your new season casuals, the low pro retro trainers. 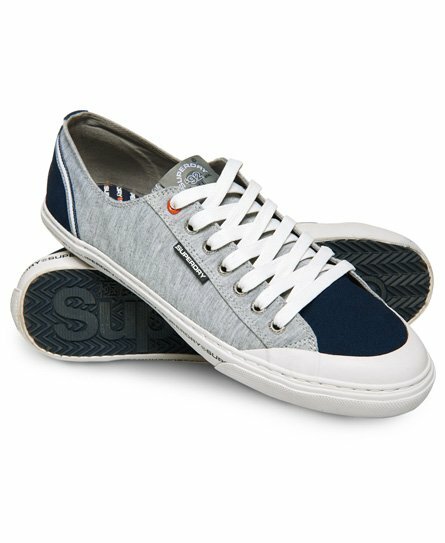 They feature the classic lace fastening, a rounded toe and Superdry branded tread on the sole. In addition, these trainers have been decorated with orange stitching, a Superdry tab on the tongue and side, as well as a Superdry logo on the heel and branded rivets.